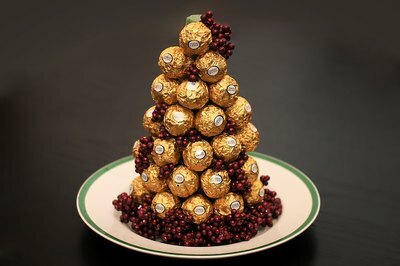 Ferrero is a candy and confection company that produces elegant-looking truffles. 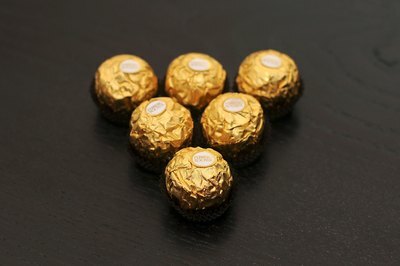 One of the company's top-sellers is Ferrero Rocher. The Rocher candy begins with a whole hazelnut that is covered with creamy chocolate. The outside of the candy is coated in wafer pieces with another layer of smooth chocolate. All this is captured in a decorative mini-cupcake liner with a foil top. 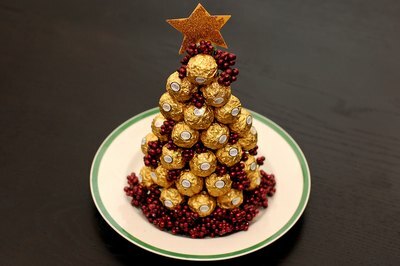 Crafty hosts and hostesses use Ferrero Rocher to make edible Christmas trees. Create your own tasty tree with a few crafting supplies and lots of candy. 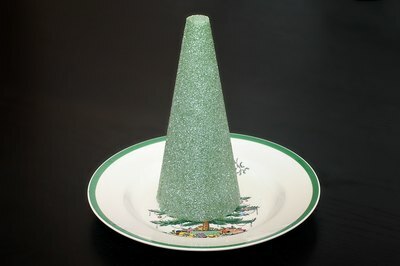 Place a 12-inch tall foam cone on a round decorative plate. Remove the truffles from the outer packaging but leave them wrapped and in their foil cups. 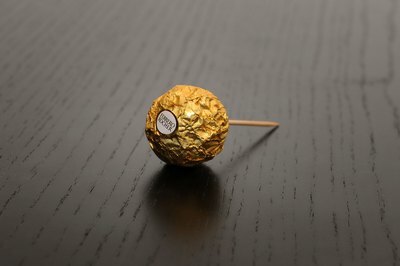 Poke a toothpick into the bottom of one truffle, piercing the paper and 1/3 of the candy. Poke the other end of the toothpick into the base of the foam tree. 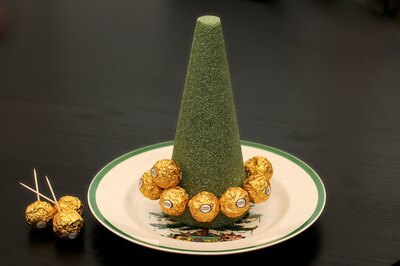 Continue to poke the truffles with toothpicks and arrange them on the cone base. Start with a bottom ring, then add another ring of truffles above that. Continue until the entire cone or tree is covered. Poke the tiny picks of plastic mistletoe or holly berries into the cone at random locations. Pierce a gold foam star-shaped ornament with a toothpick. The toothpick should be located between the two bottom star arms. Poke the toothpicked star into the top of the Christmas tree as an ornament. Fill in any gaps with tiny ornaments. Paint the cone gold first if you want an entirely golden tree.